I love culminating projects that wrap lots of skills together in a tidy finished product. 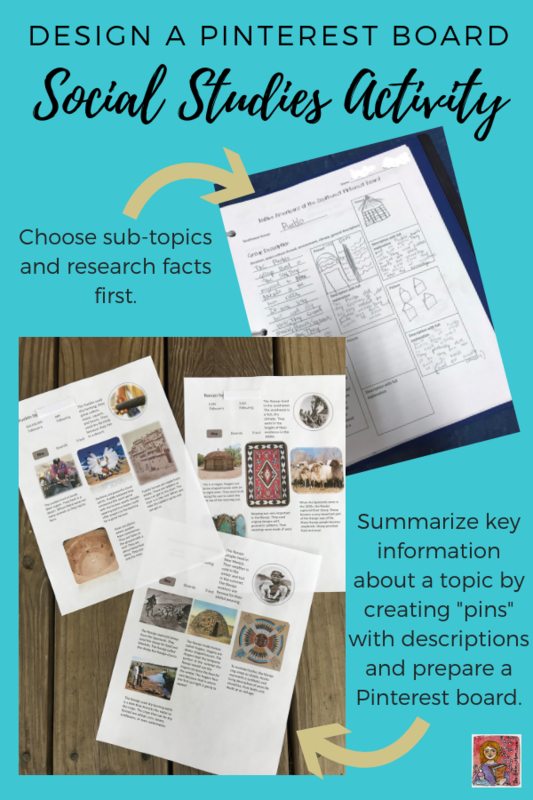 Before the holidays, my students finished our Native American unit with a research project focused on one aspect of a Native American group from a specific region. They presented the information in a magazine style feature article. The project checked off a lot of boxes for me. Research skills (check). Technology skills (check). Expository writing (check). Non-fiction text features (check). Really cool looking writing piece printed on fancy paper (check). 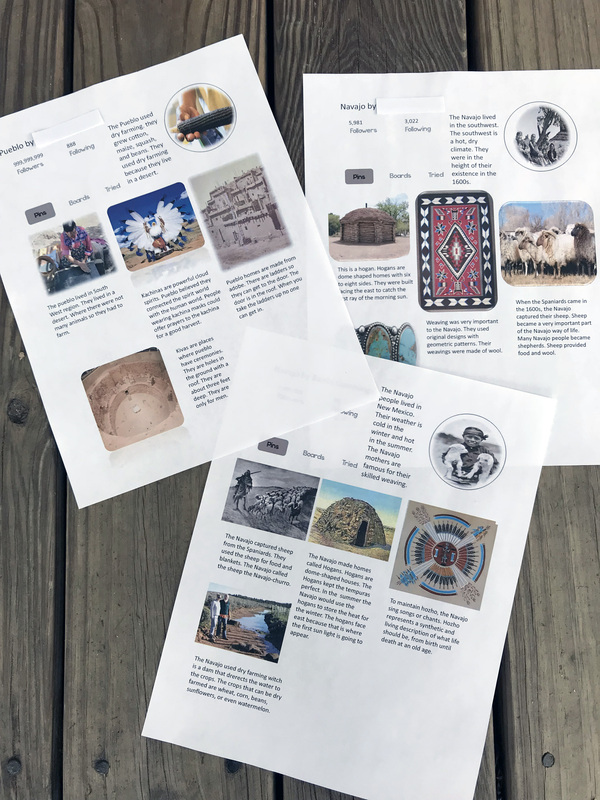 The students started the project by reviewing their textbook, readings, and graphic organizer notes for the different regions and tribes we studied as a group and chose a favorite area on which to focus. I had multiple topics ranging from the Inuit and igloo building to the Navajo and turquoise jewelry to the Iroquois and the game of lacrosse. 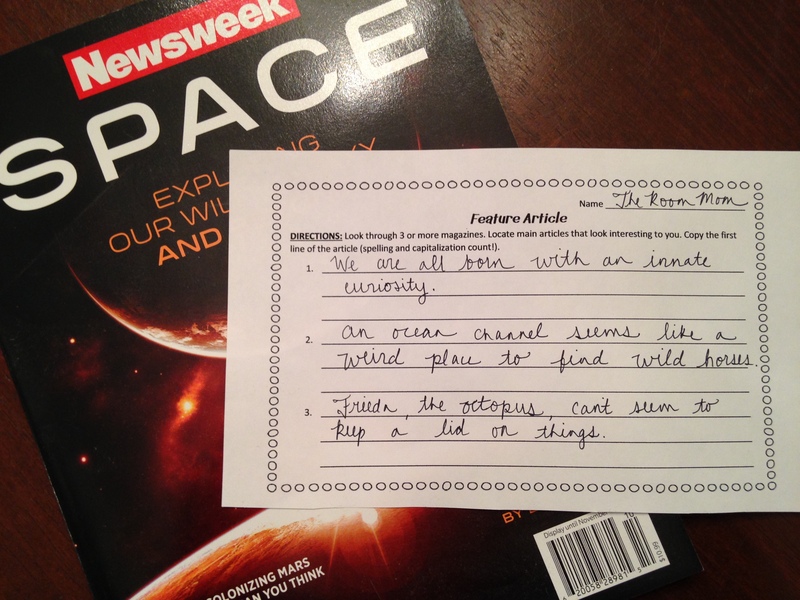 Once students selected a topic, they generated three sub-topics that guided their research. 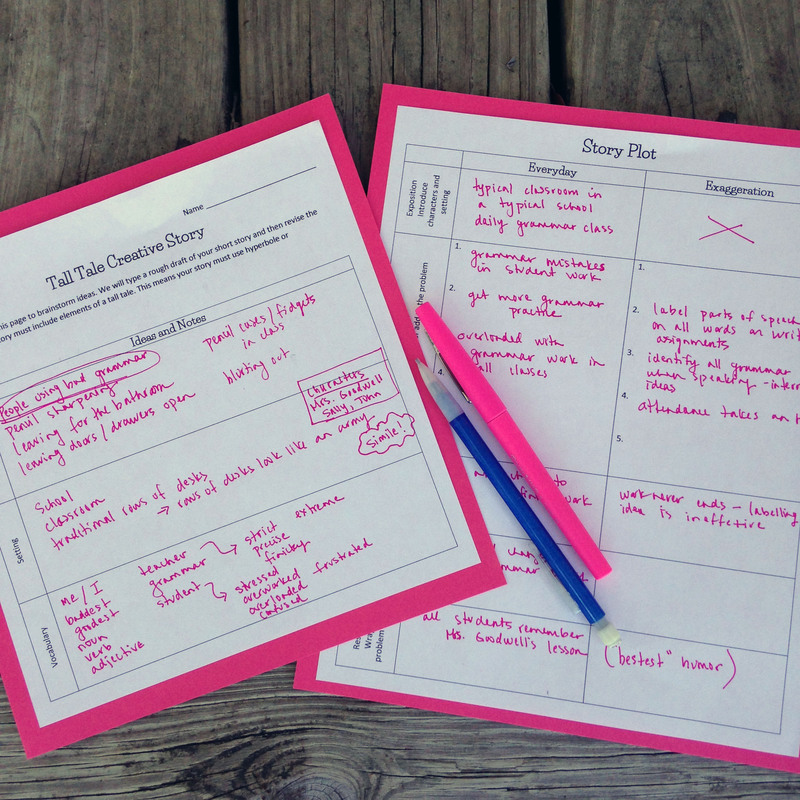 I had the students use THIS ORGANIZER to help focus their reading and note taking. 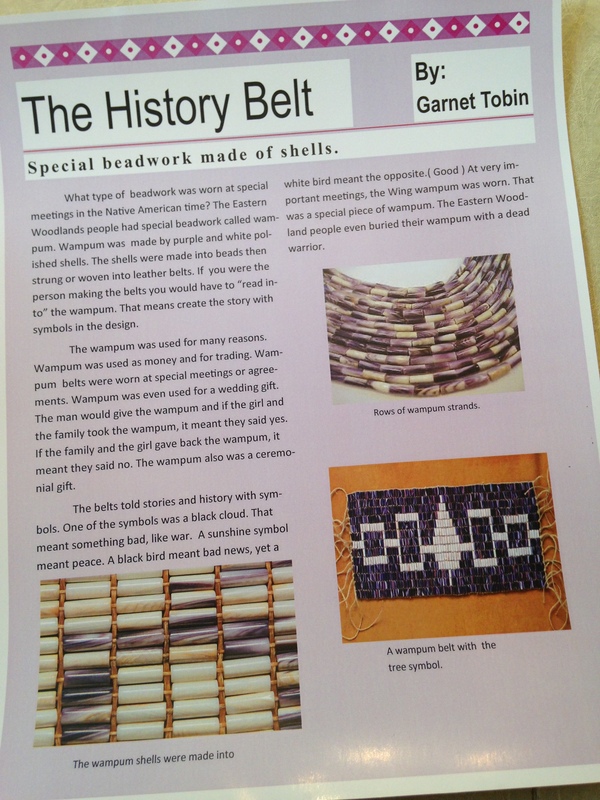 Once students gathered information and were ready to begin writing the magazine style article. 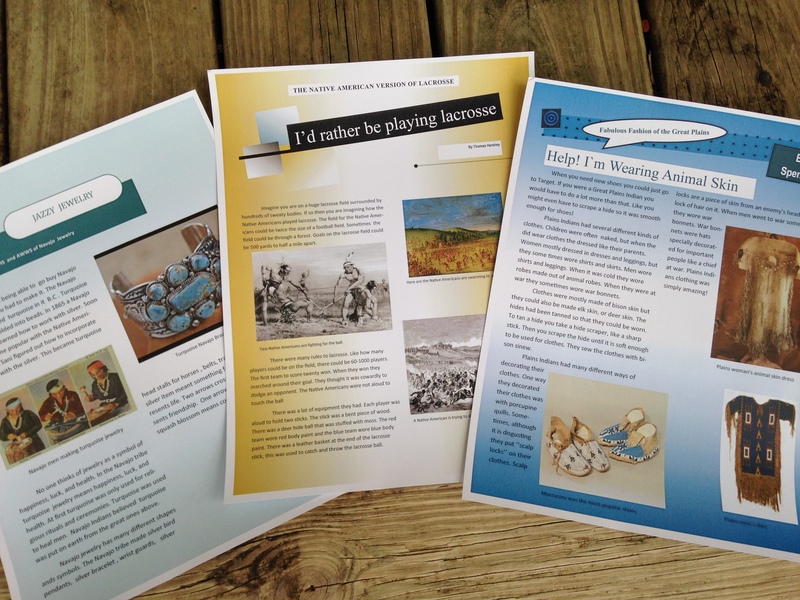 We looked at many professional writing samples in various magazines targeted at children in upper elementary grades (Kids Discover, American Girl, Muse, National Geographic for Kids, Boys’ Life…). Specifically, we looked at the titles of the feature articles, the first sentences in each article, and the layout of the page. 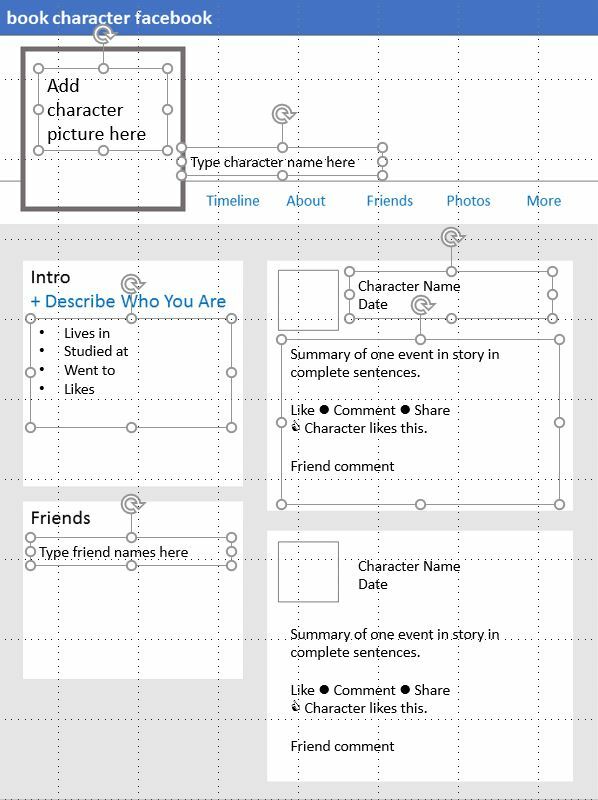 We spent one class period using THIS ACTIVITY PAGE and writing first sentences from several articles. The students met in groups to compare first sentences and determine what the sentences might have in common. 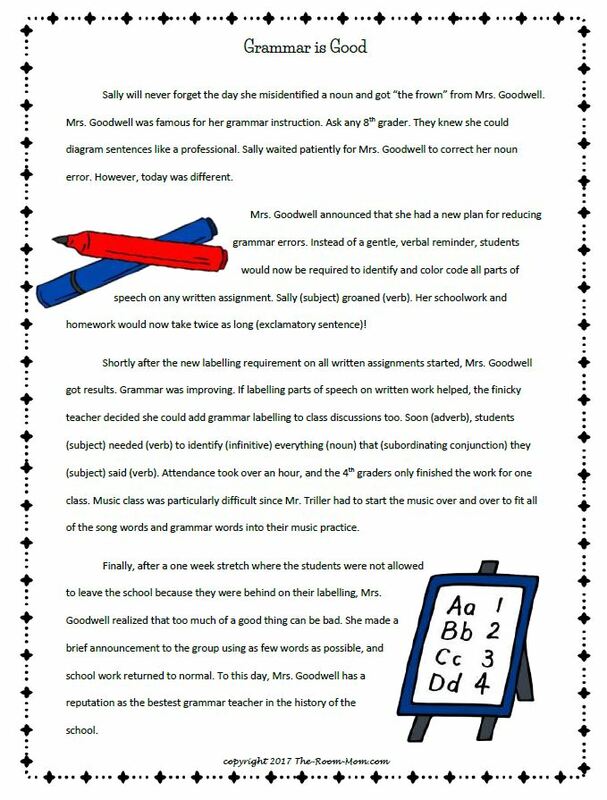 The idea was for students to replicate a good “hook” sentence in their own article. Some key ideas emerged. Many opening sentences contained an unusual fact or an idea that grabbed our attention. All of the sentences used interesting vocabulary. We also noticed that the length of the sentence varied– we found short and long sentences that were effective. 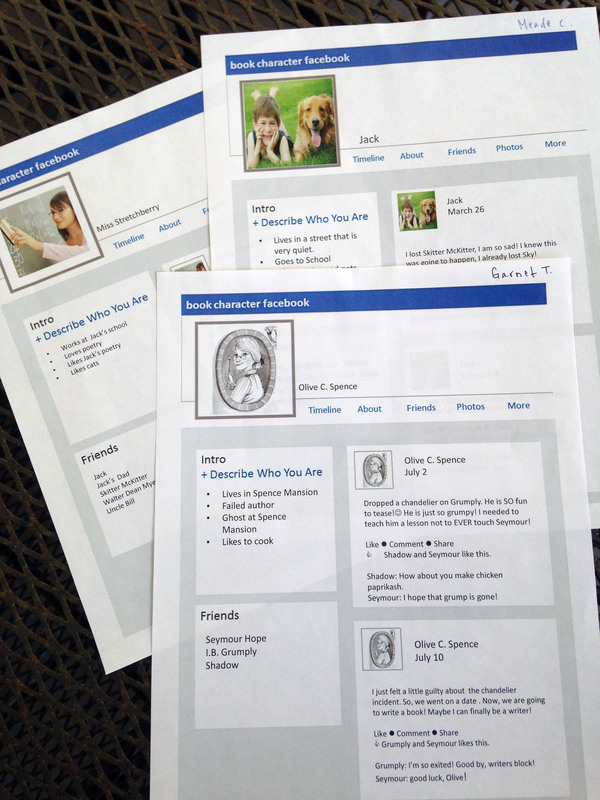 To create the article, students used MSPublisher documents. 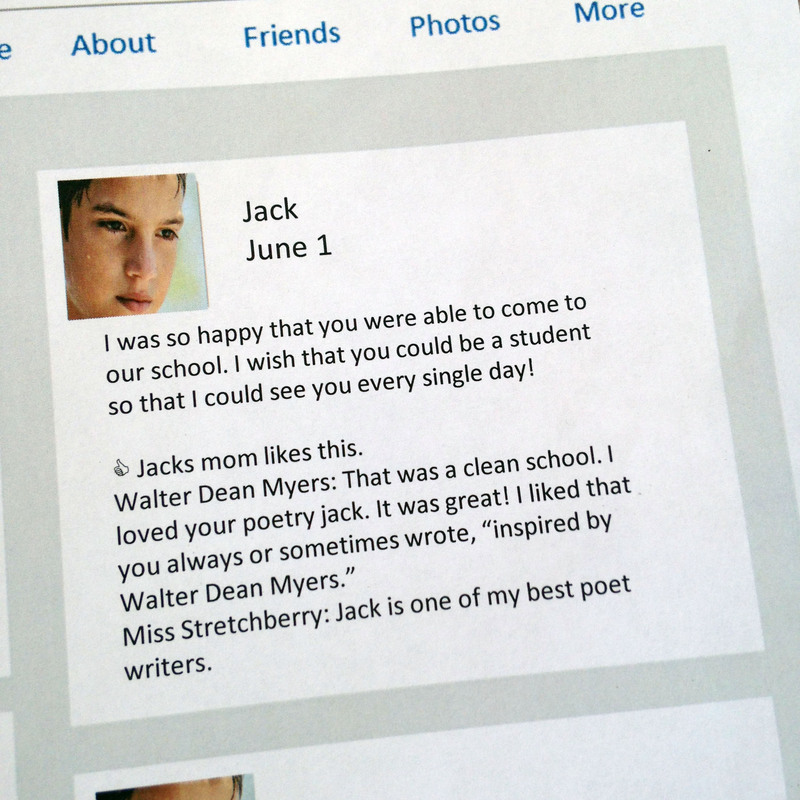 Each person started by setting up a text box and changing the formatting to two columns. 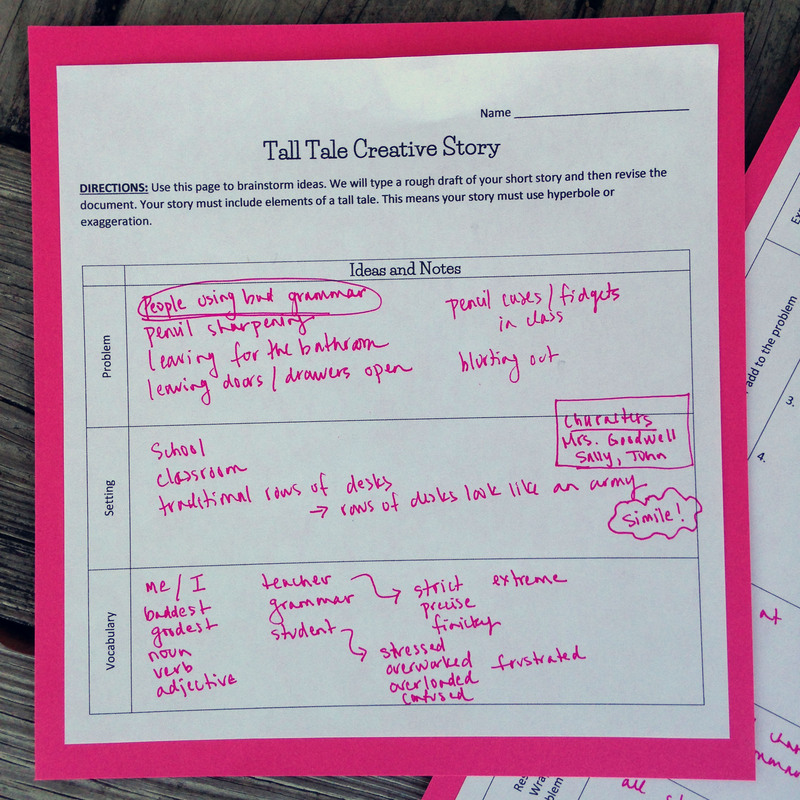 Each article was three paragraphs long matching the three sub-topic boxes in the notes organizer page. After typing the article, the students inserted a fancy header and developed a catchy title and sub-title, added images with captions, and chose a colorful background. Finally, I purchased shiny paper that felt the same as magazine paper, so the printed masterpiece really looked like a true magazine article. 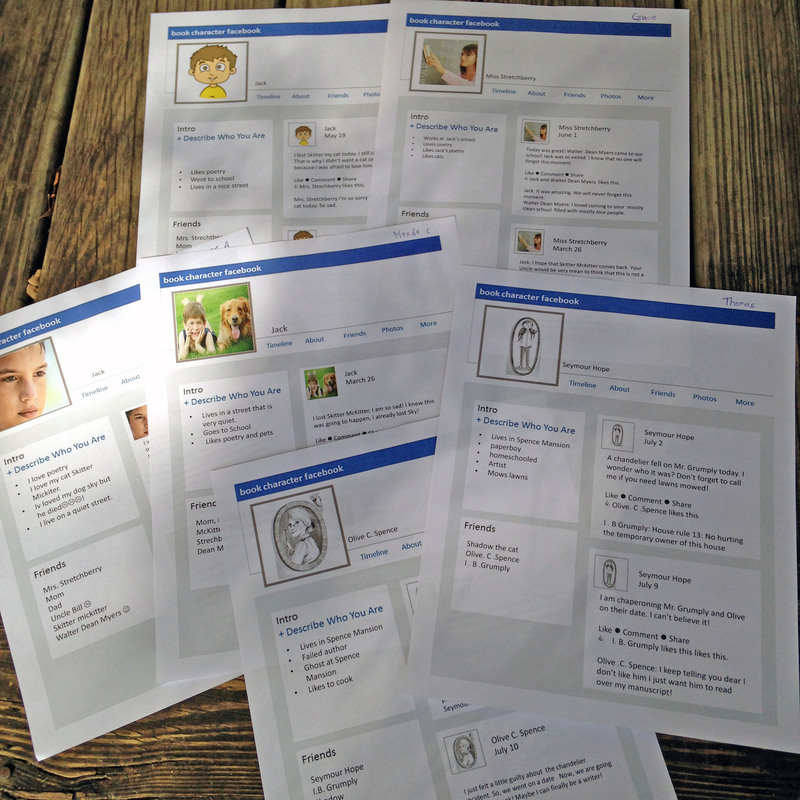 We were all impressed with the quality of the final product and are ready to write for a real publisher. 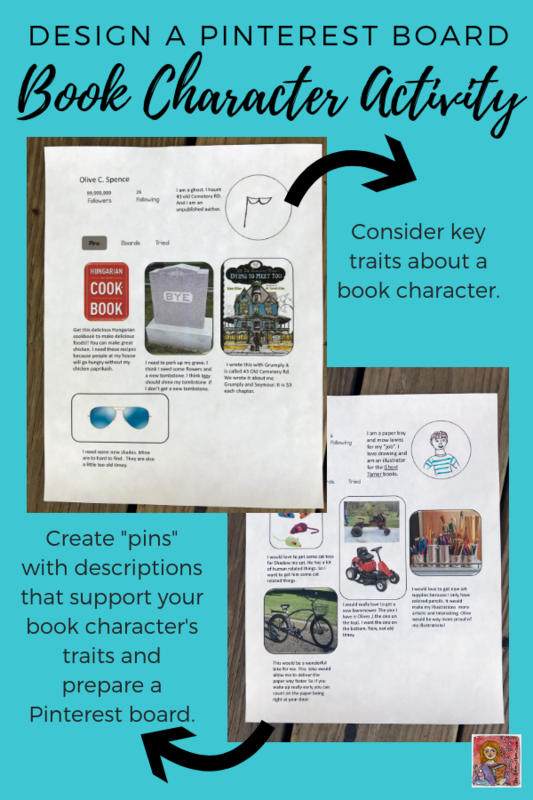 To see another activity idea for non-fiction text features CLICK HERE. 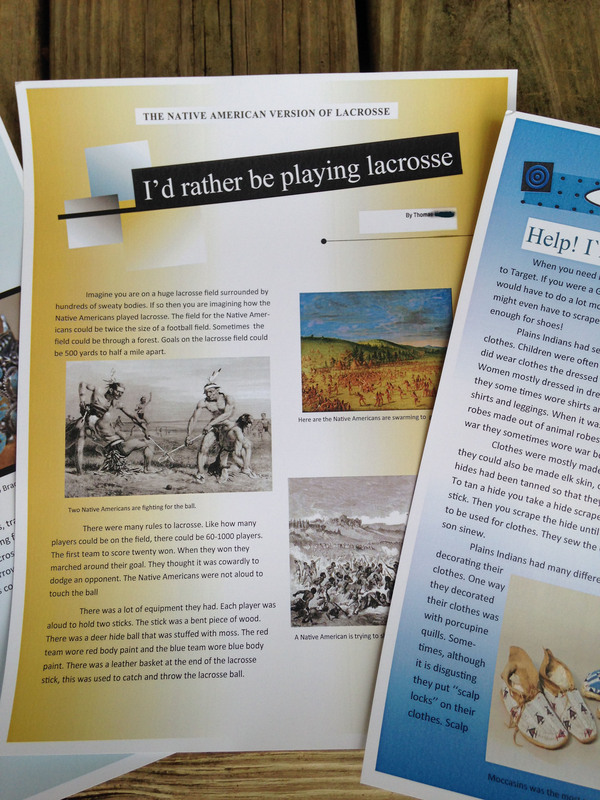 To see my Native American teacher resources, CLICK HERE to visit my TpT store. I just finished reading The Lion, the Witch, and the Wardrobe with my students, and we spent some time discussing C.S. Lewis’ descriptive sentences. I wanted my students to mimic Lewis’ style in a writing assignment, but I needed a vehicle to make their word choice meaningful. I pulled two passages out of the book and removed key words. 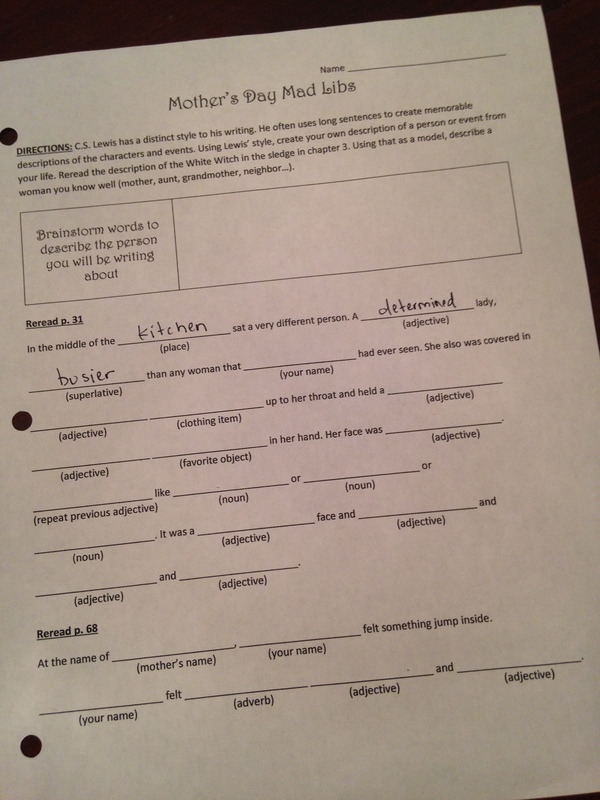 I replaced the key words with a blank line and labelled the space with the type of word or part of speech that should go in the blank. Basically, I built a literary Mad Lib. The students spent some time thinking about their mothers (or another loved one) and brainstormed words to describe that person. Following the brainstorming, they re-read the original passages in The Lion, the Witch, and the Wardrobe and then plugged words into the frame I gave them to create their own beautiful description with a C.S. Lewis vibe. 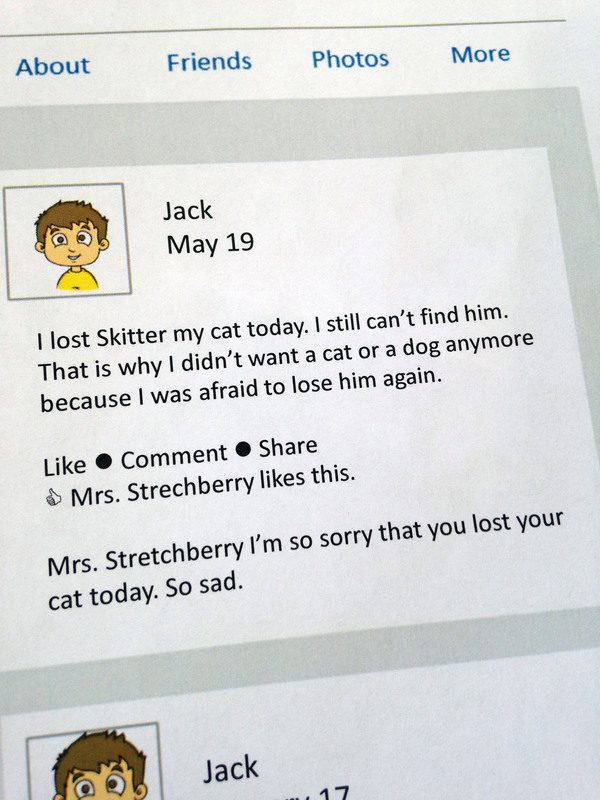 We typed the paragraphs, and students added small images that corresponded to details in the descriptive writing. We printed the text and pictures on a piece of cardstock and cut them apart. 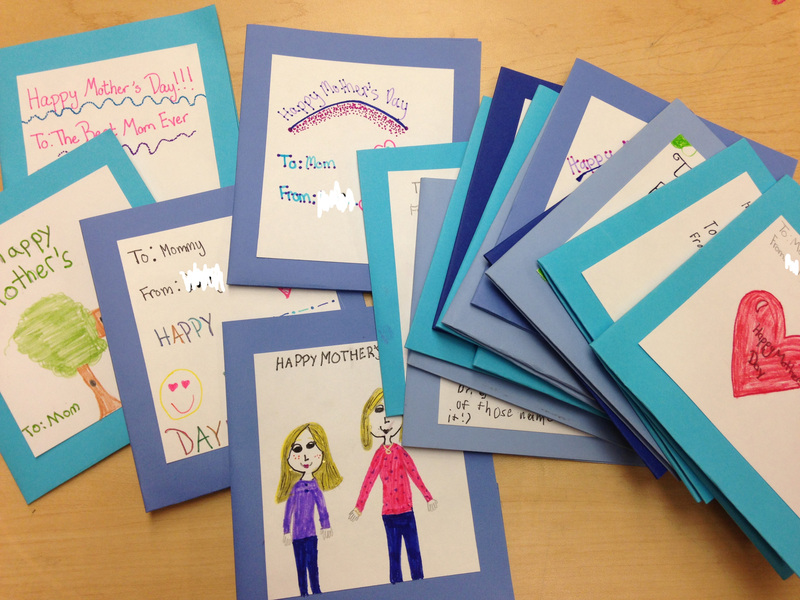 The students folded a small pocket folder using colored cardstock and decorated the cover. 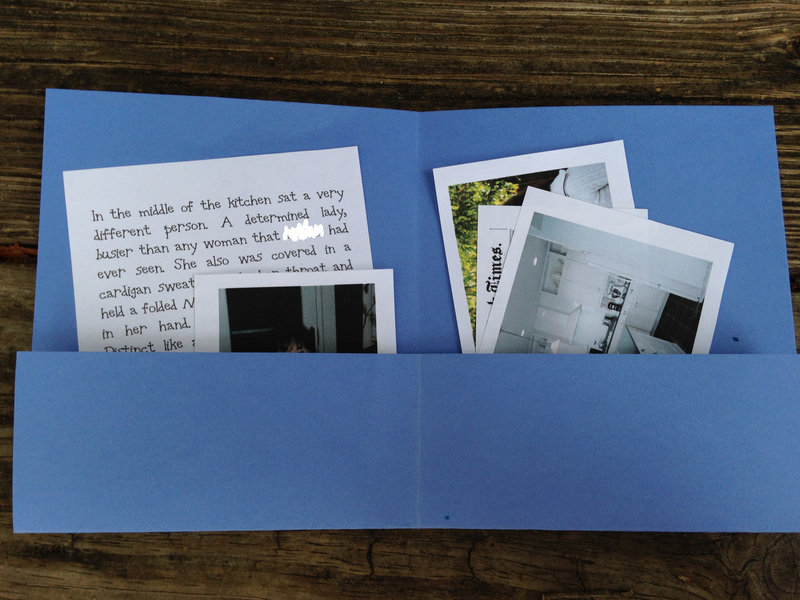 The pictures and small paragraph were no bigger than 3″ x 3″ each and fit nicely in the small pocket card. Not all of my students are quite finished with this project, but the ones I have read so far make me tear up because they capture such sweet thoughts about a loved one. 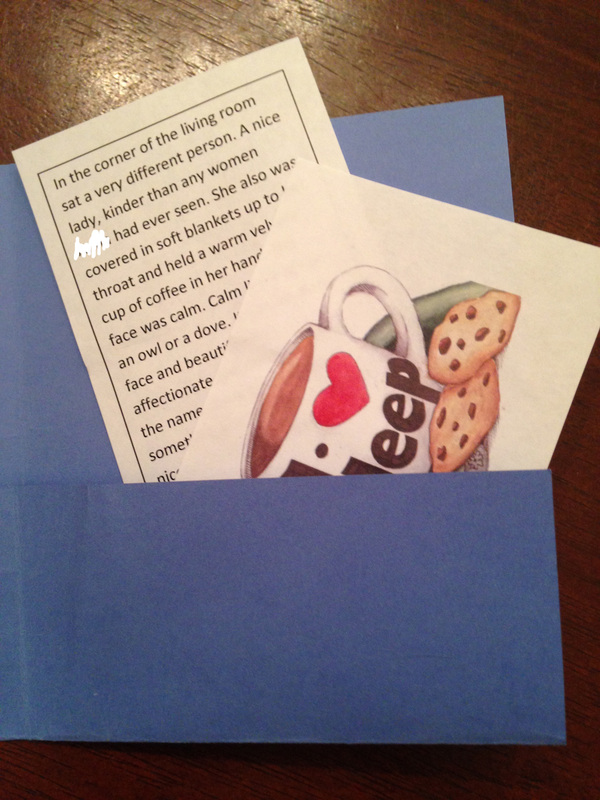 If you need a thoughtful card or gift for a mother, father, grandparent, sibling… pull a favorite passage from a story and use the basic structure to write a special message. Place the colored cardstock on a flat surface in the landscape direction. Fold the bottom edge (8 3/4″ edge) up about 2″, match the corners carefully, and press firmly to fold the crease. 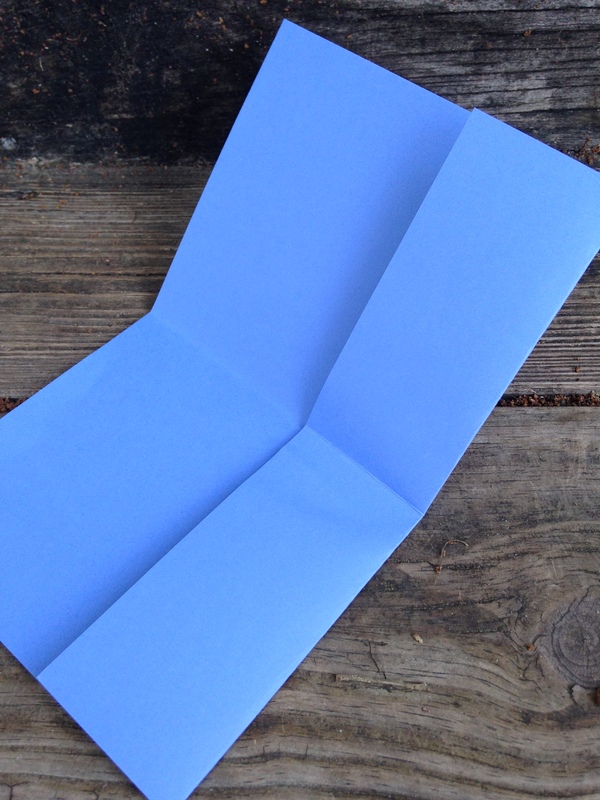 Open the flap and fold the paper in half, so the two 7 1/4″ edges meet. Match the corners carefully and press firmly to fold the crease. Open the paper flat and fold the 2″ section up creating the pocket. The pocket sides will be open but create a little “shelf” to hold the small pieces of paper. Fold the paper in half down the center fold. If you would like, glue the 4″ x 3 1/2″ white rectangle to the front of the folder as a cover for writing a title or salutation. 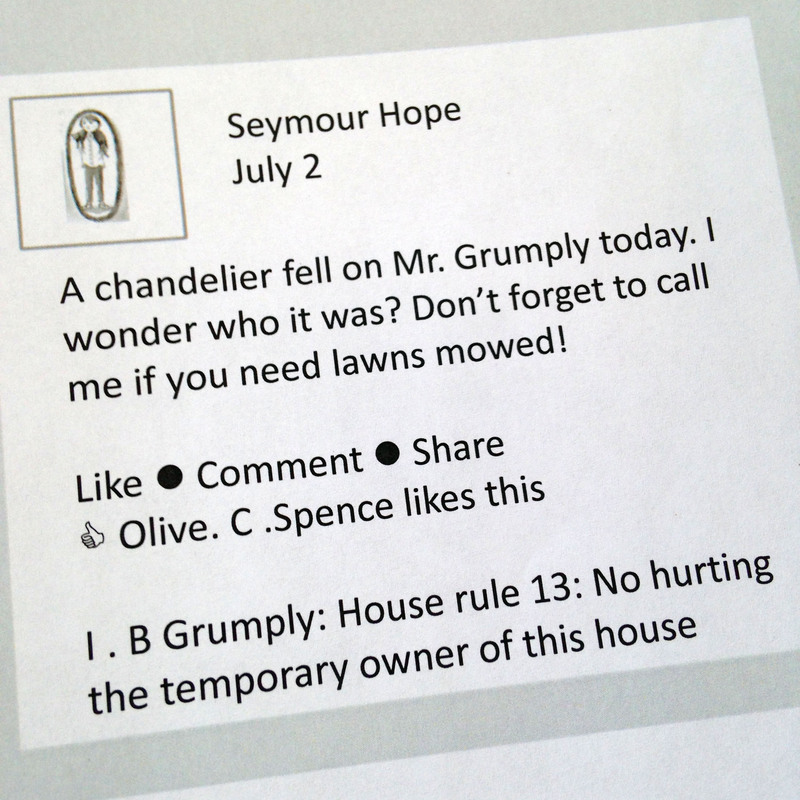 Want to try your own literary Mad Lib? 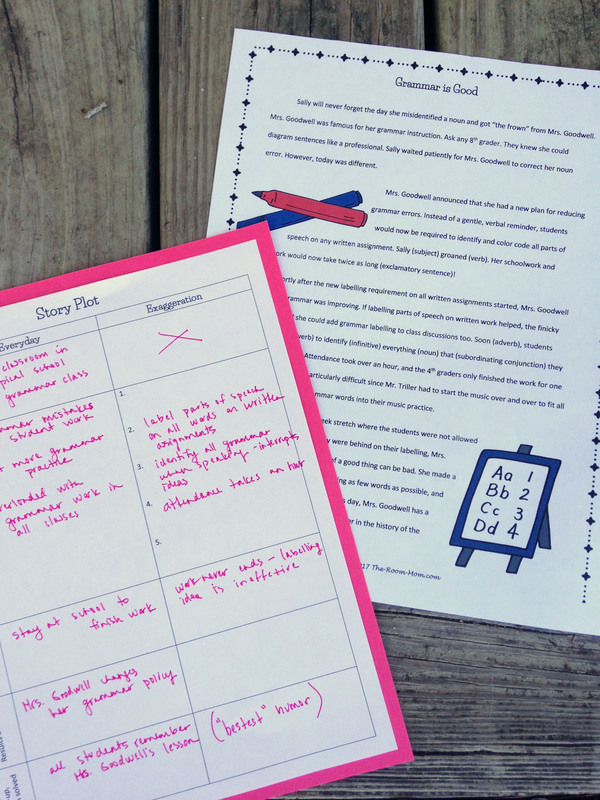 Click Author Mad Libs to download a free copy of my activity page. To purchase other Lion, the Witch, and the Wardrobe activities, CLICK HERE.